The origin of the word eczema is traced back to the ancient Greek language, and the word literally means “to boil”. It refers to the most universally occurring skin condition. There are a number of different types of eczema. The one that occurs most often is known as Atopic Dermatitis. Children 5 years old and younger tend to be the group that is most commonly afflicted with this disease. 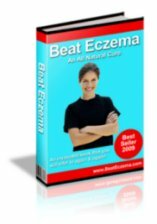 Thankfully, a number of eczema remedies exist that have proven useful in providing comfort and relief. Causes and signs: When toxic contamination occurs in the body at a genetic level, the conditions for the development of eczema are present. It is considered to be a hereditary disorder. If your family has had a history of hay fever and asthma then it will be more likely that you also will develop this condition at some point in your life.